There are a bunch of stupid myths about SEO that keep rearing their ugly head. They need to be dissected and taken to the cleaners. So let’s go bust them up into little pieces! Some people think it’s all big hoax or scam. And that Google will just rank whoever it wants to, and there’s no point trying to trick it or change its mind. And that SEO people should pack up and go home. Well SEO is a huge field and there are certainly some things that don’t work now or never worked. But it is still alive and well. The point is, Google wants to know what websites to rank. It wants your websites to tell it that they are worthy of being ranked. It wants to learn that your articles are focused and relevant to a topic. And people who can do that can achieve great results. There is a misconception that SEO is just a bunch of weird tricks to fool Google. And while some SEO practices (particularly so-called Black Hat ones) fall into this category, a lot of SEO is just work. It’s about keyword analysis. Link Siloing. Local business citations. Anchor text distribution. You know, work. Stuff that Google understands and appreciates because it helps it understand what your website is about and why it is helpful for people searching for a certain phrase. I will be honest, SEO in say 2003 was mainly tricks. Some people figured out some dumb tricks that fooled Google, and they worked, and those people made big piles of money. But those days are over. While backlinks aren’t quite as important as they were, say, 10 years ago, it is a huge mistake to think that links are irrelevant. Some people think that links are dead. Wrong! Backlinks from relevant, quality websites are a huge factor in improving the search ranking performance of your website. But the key part there is “relevant, quality”. Buying crappy automated links from shady link farms is not the way to go. If anything, they will hurt the search profile of your website. In fact, some people buy these links from “toxic” domains and point them at their competitors to push them off page 1! This is known as “negative SEO” and is definitely considered a “black hat” technique. But there’s no reason to engage in such shenanigans. If you write, publish and share good quality content, that helps answer people’s questions, you’ll get good quality backlinks. It’s that simple. You can engage in outreach too, but keep in mind, even so-called “white hat” link-building is frowned upon by Google. This might not sound like it contradicts the previous point, but it doesn’t. Links might not be dead, they’re not. But they’re not the complete picture. Some people think that if they just get a few links, then that’s all they need to do. You can get away with crappy content and short articles if you have a few links here and there. The truth is, links are an important part of the SEO picture, but that’s what they are: a part of the picture. Backlinks form a big what people call “off-page SEO”. But keep in mind that there are other major factors in off-page SEO (such as SERP interaction, brand searches and social signals). And there is also all the on-page SEO factors which play a major part. Some people think “I’ve got an XML sitemap. I’ve plugged it into my WordPress site. I’m done!”. Not at all. In fact, an XML sitemap does nothing to affect search rankings, either positively or negatively. All it does is help Google index your site quicker. And in fact, it is one of the very best ways to do that. If you link your sitemap.xml file to Google Search Console, then Google will be notified of any new pages on your site immediately. They won’t index it straight away, but they will soon enough. Probably within a day or so. So you should definitely get an XML sitemap set up to help your new content get indexed and on the SERPs quickly. But it won’t make a lick of difference to where it appears on those SERPs. A common misconception is that SEO (Search Engine Optimization) is an activity that you perform once. And that you are then “done”. They think of itase a checklist, and that once that checklist has been followed, there is no more work to do. This is not true at all! While there are a few checklists that you can apply for a specific page to rank for a specific keyword, that is just one part of a very big and complex SEO puzzle. There is a lot of on page and off page SEO that you can do for just one keyword on just one page. And that is just one iteration. Over time, you might note that certain articles have gone up for certain keywords, and down for others. Remember, just because you want to an article to rank for a certain keyword doesn’t mean Google wants it to. I explained this in more detail in my article on keyword cannibilization. So SEO is not a one-off job. It is a continual procedure of examining, testing, optimizing and tweaking. And that’s what makes it such an interesting discipline. A lot of people think that it’s all about getting to the fabled “number 1 spot” on a Google SERP (Search Engine Result Page). And that if you’ve gotten an article to the number one spot, you’ve “won” SEO. And soon you’ll be swiging in a hammock on the bahamas with a laptop in one hand and a lingerie model in the other hand. This idea is just so wrong on so many levels. Let’s go through them. There is no universal number 1 position. Everyone sees a different set of results in Google. We all live in a bubble, which I wrote about in my article on the infamous “filter bubble”. 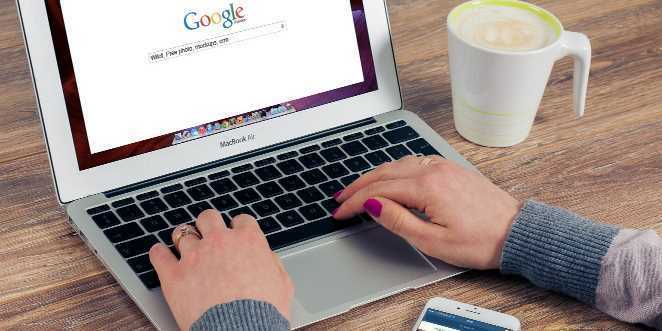 You can get to a kind of objective set of search results by using Incognito search, but nobody really lives in Incognito search results except for SEO people testing their SERP placements by searching in Incognito mode. Getting a bunch of articles ranking at 2 or 3 is way better than getting one article ranking at #1. Smart marketers and SEO people focus on ranking for a bunch of keywords, rather than staking everything on ranking something at number 1. That’s why I focus on ranking for lots of query-based long-tail keywords. There are positions higher than #1. True story! Many people describe the “featured snippet” (that sometimes appears at the top of Google SERPs, even higher than the first position) as “position zero”. And some consider Voice Search result to be another “position zero”, or maybe even a “position -1” (because it returns no other results – you either rank for it, or you don’t). It’s possible to rank 5 or 10 on standard search results but still have a Featured Snippet or a Voice Search result. So it isn’t about getting to number 1. It’s about building up a big powerful set of consistent search traffic, which can come from many different rankings and sources for many different pages. I hope you liked this article on some big SEO myths that deserve to die. Can you think of any others? Please let me know in the comments!